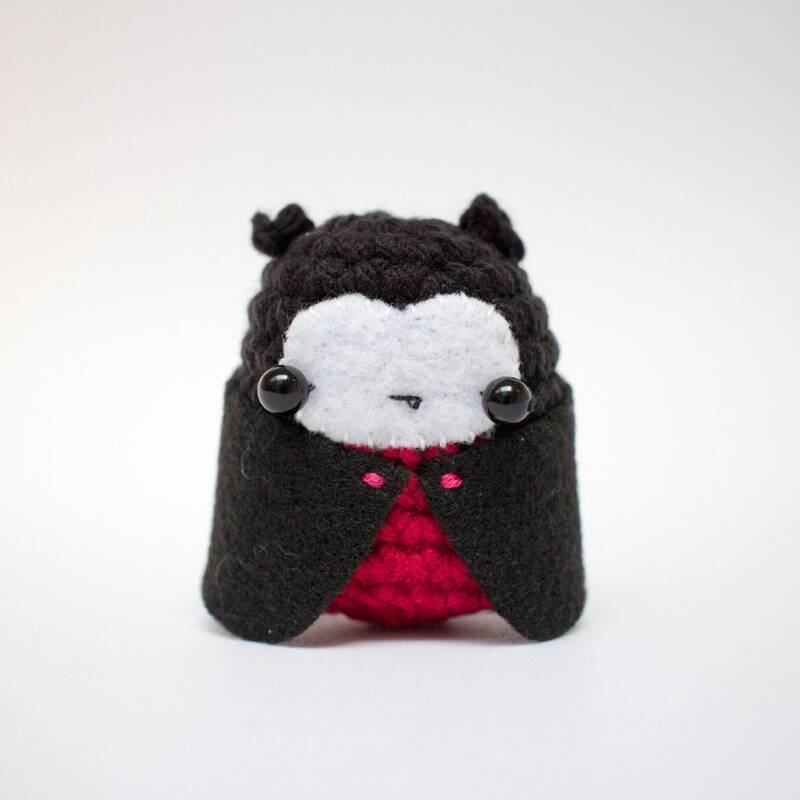 An easy crochet pattern to make your own amigurumi Halloween vampire doll. 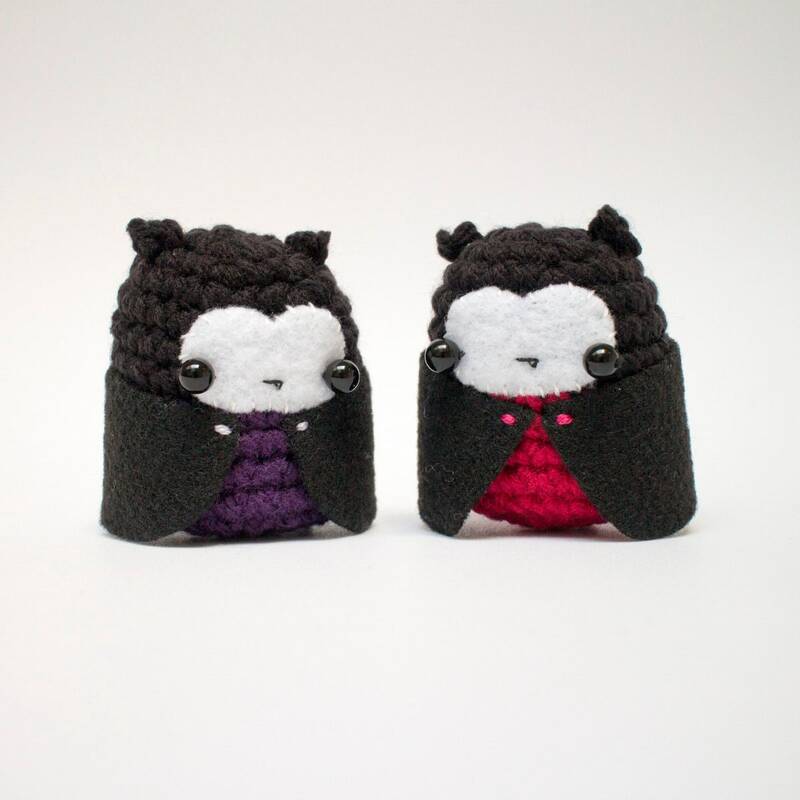 The pdf file includes a written crochet vampire pattern (US crochet terms), crochet charts, step-by-step photos, detailed assembly instructions, and a printable template for the felt pieces. A printer-friendly version with fewer photos is included. 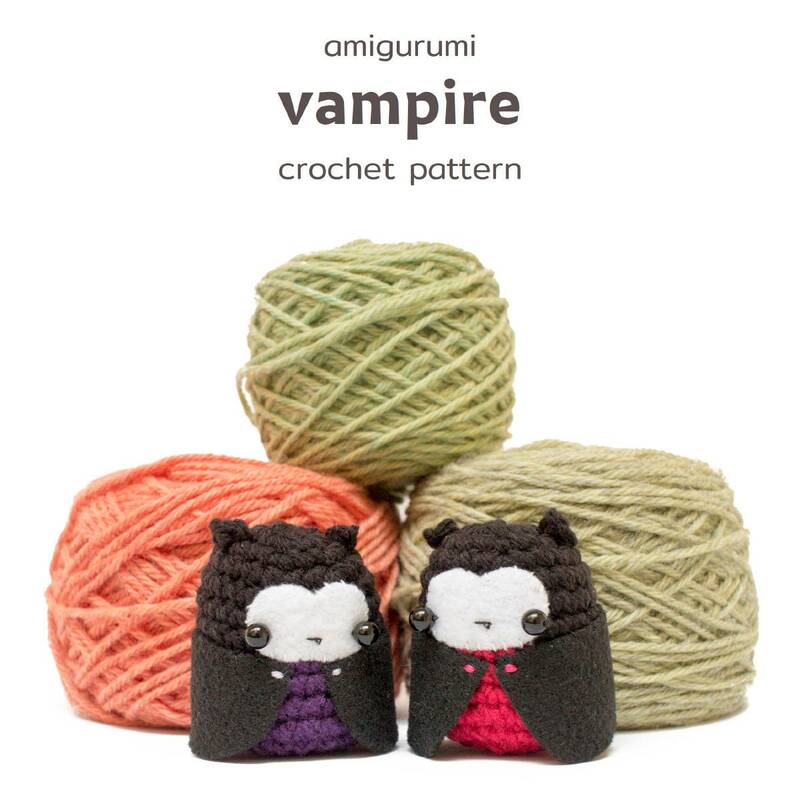 These mini amigurumi vampires can be used as little gifts, or cute crochet Halloween decorations. 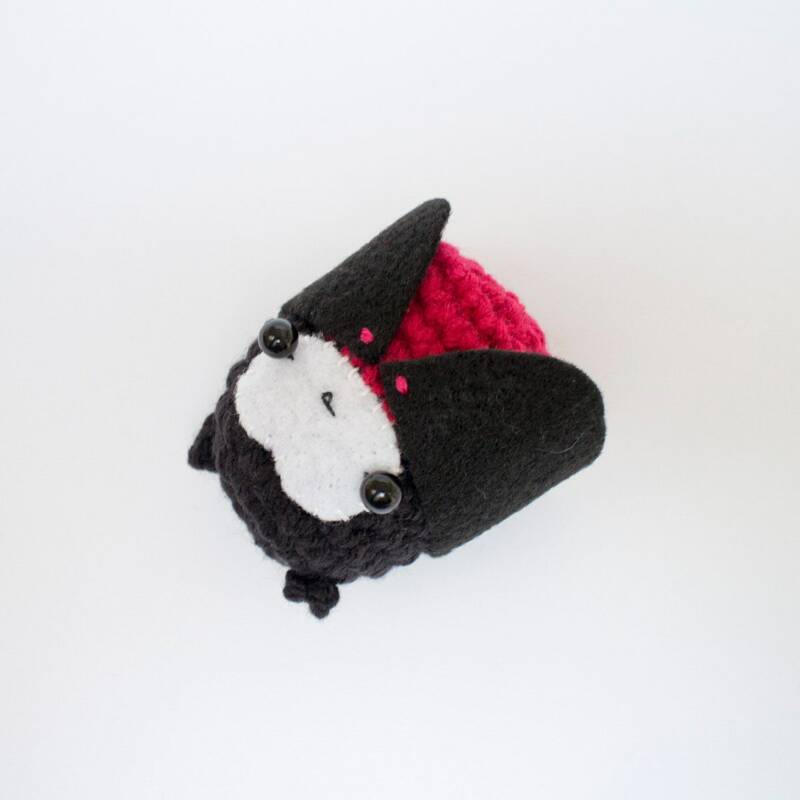 This is an easy amigurumi pattern, great for beginners. The pattern uses mostly single crochet stitches in the round. The required techniques are taught in the included beginner's guide. 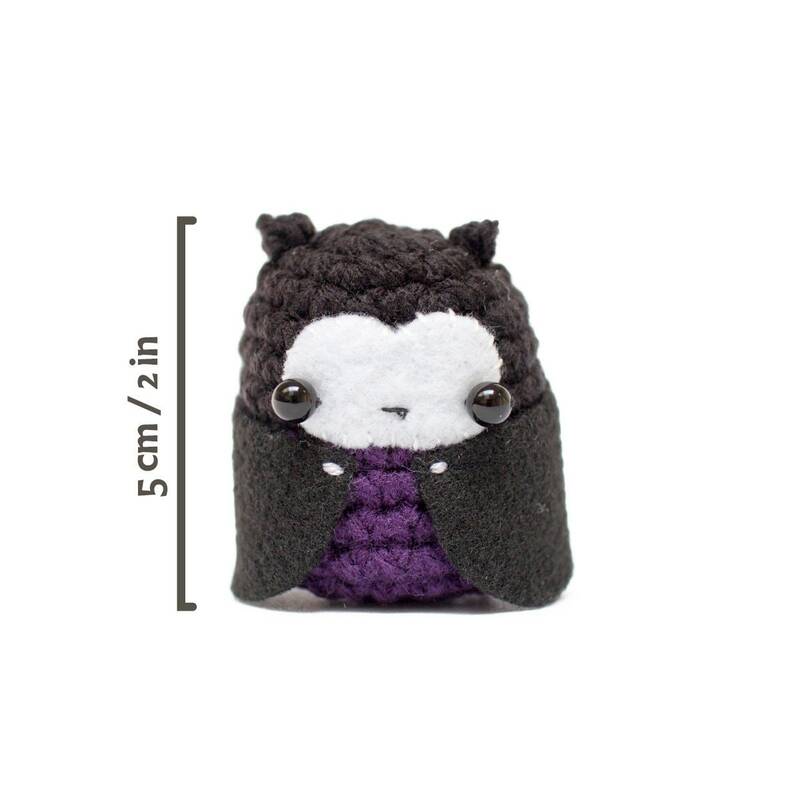 Using medium (worsted) weight yarn and a 3.5mm (E) crochet hook, your vampire will be about 5 cm (2 in) tall. 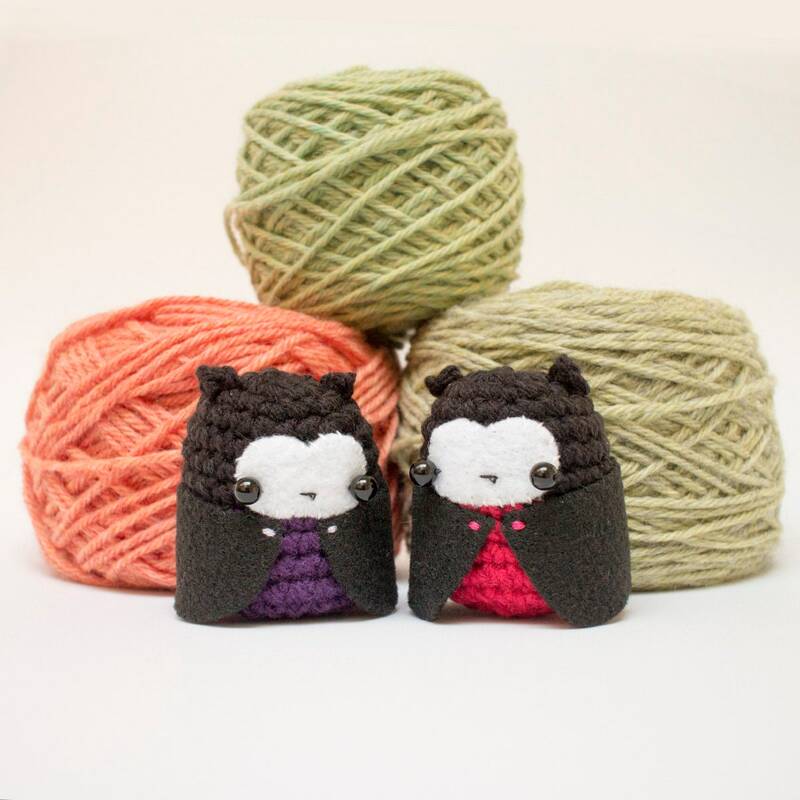 However, exact gauge is not important for this project, and you can adjust the size by using thicker or thinner yarn. Another awesome pattern from Mohustore. Thank you for releasing new patterns!